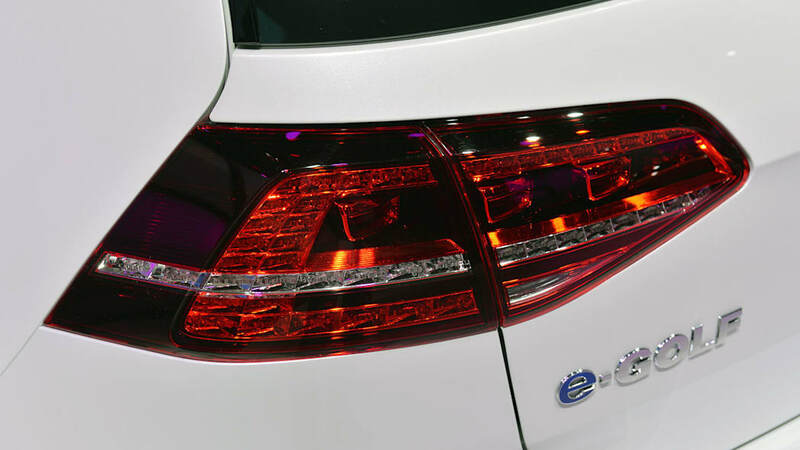 When the 2015 VW e-Golf was introduced at the LA Auto Show last year, VW said it would come with a water-cooled battery. 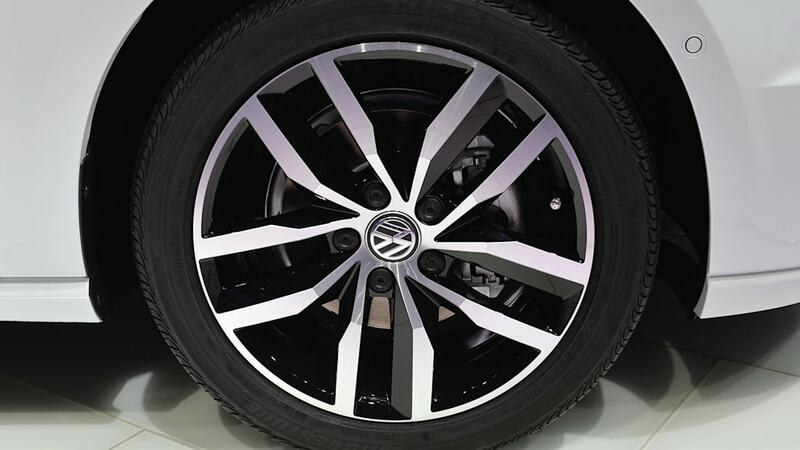 During the Detroit Auto Show, when the car was trotted out again, VW released a new press release that stripped out the "water-cooled" language, but this change went unnoticed. During a recent VW event in Germany, a friend from Green Car Reports realized that the battery on display did not seem to have any water-cooling mechanisms. 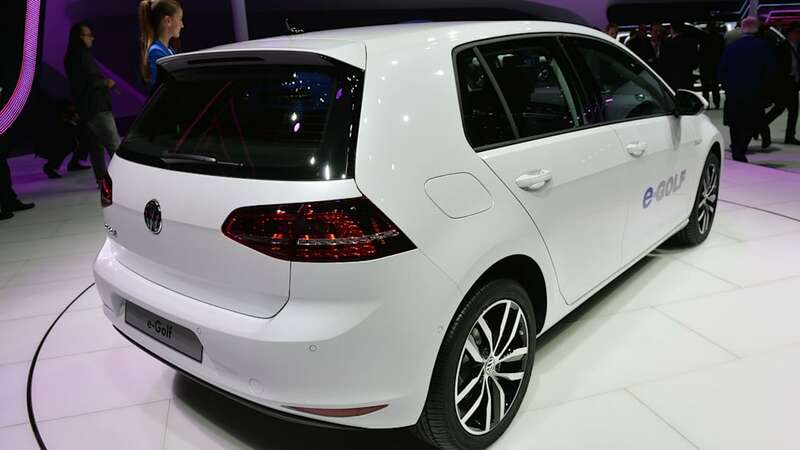 That set us off on a bit of a sleuthing and we have now learned that VW is not going to include any active cooling in the upcoming e-Golf. In fact, the company is entirely confident that this car - because of what it's designed to do - doesn't need it. 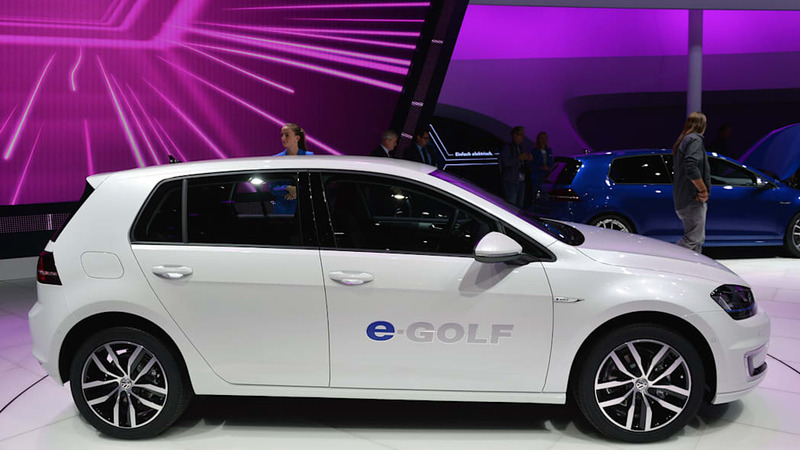 VW has been working on an electrified Golf for ages now, and so changes to the plan are to be expected. But battery cooling is vitally important not just to keep the car operating properly but because when things get too hot, there can be serious public relations problems. Nissan began testing a new battery chemistry for the Leaf in 2013 after an uproar from warm-weather EV drivers in Arizona who were experiencing worse-than-expected battery performance. The Leaf has always used an air-cooled battery, which is another way to say that there is no active cooling system (more details here). Tesla CEO Elon Musk once said this approach is "primitive." So, why is VW following the same path? We asked Darryll Harrison, VW US's manager of brand public relations west, for more information, and he told AutoblogGreen that VW engineers discovered through a lot of testing of the Golf Mk6 EV prototypes, that battery performance was not impacted by temperatures when using the right battery chemistry. That chemistry, it turns out, is lithium nickel manganese cobalt oxide (NMC) in cells from Panasonic. These cells had "the lowest self-warming tendency and the lowest memory effect of all cells tested," Harrison said. He added that VW engineers tested the NMC cells in places like Death Valley and Arizona and found they didn't warm very quickly either through operation, charging (including during fast charging) or through high ambient temps. "The need for a cooling system wasn't there," Harrison said. 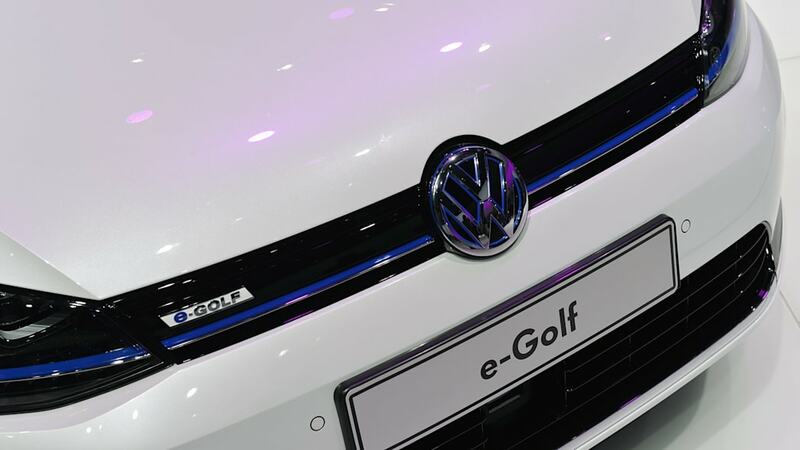 Since the cells work so well, all the e-Golf needs to keep the battery pack at the right operating temperature is an intelligent thermal control (which regulates the amount of energy expended form each of the cells to keep the heat down) and the ability to dissipate what heat is created into the chassis and away from the pack. 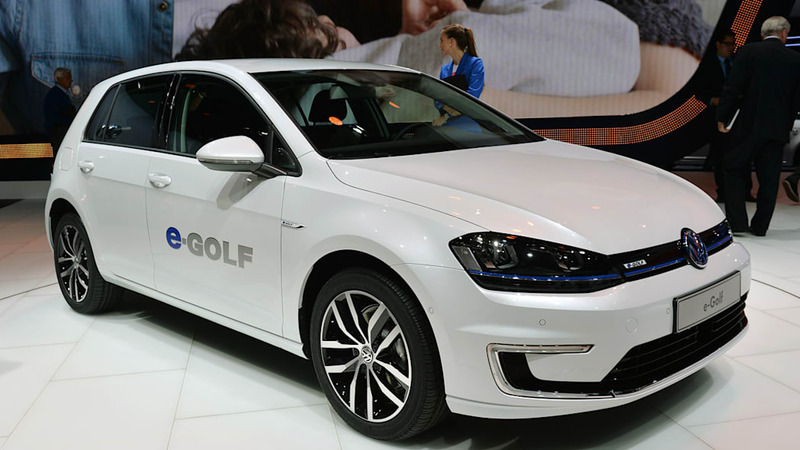 The VW GTE plug-in hybrid does have a liquid-cooling system. 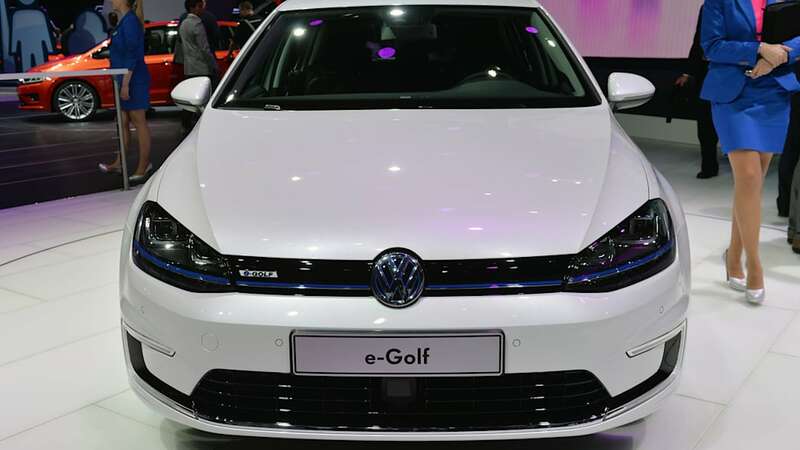 While we will have to see if the lack of an active-cooling system works in the real world when the e-Golf goes on sale, it's clear that it brings with it the additional benefit of lower weight. 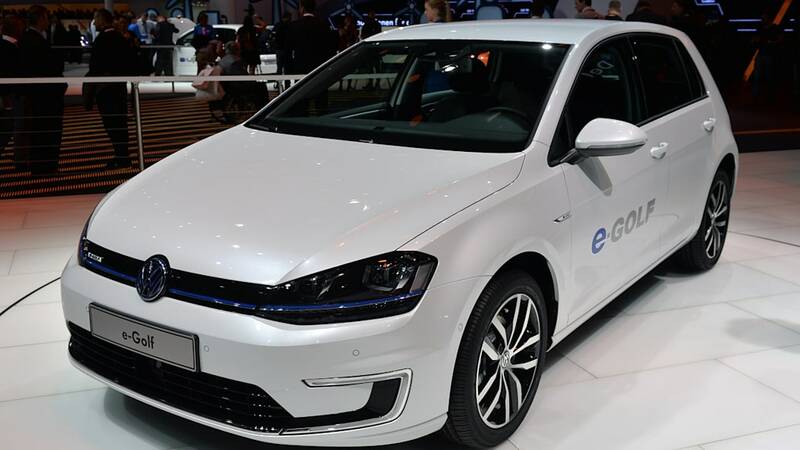 The ultimate function of everything in the e-Golf is to be efficient, even if that comes at the expense of high performance, Harrison said, so limiting the battery pack's performance to keep heat in check is appropriate. VW is playing a different game in the GTE, which does have a liquid-cooling system. That car is designed to be a hybrid-electric version of the sporty GTI. 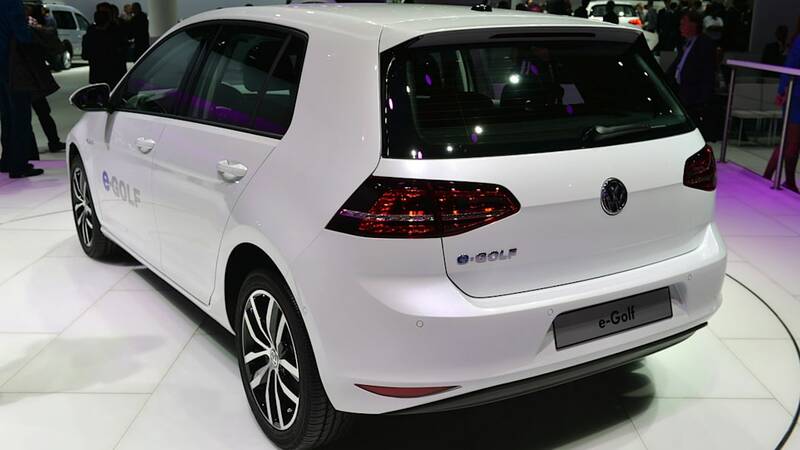 Since the dynamics are tuned for performance, the GTE's pack will be cared for in a different way than the gentleness at play in the e-Golf. It's an interesting strategy and one we'll be following closely from here on out. For the record, we've included the detailed statement that Harrison emailed AutoblogGreen below. 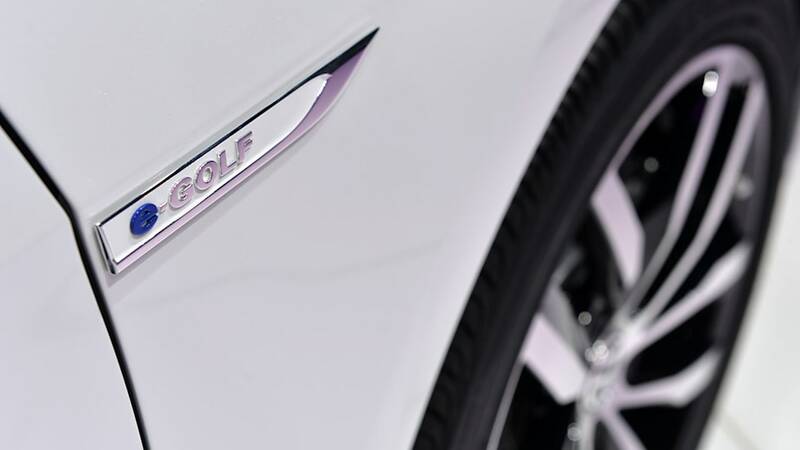 Generally speaking, regarding the system, it's important to note that the e-Golf was designed with efficiency in mind. The battery pack utilizes ultra-efficient lithium-ion cells that deliver 25Ah per cell with an energy density of 59Wh per lb. The pack is comprised of 264 cells, packaged into 27 modules (of either 6 or 12 cells) delivering 323 volts and weighing in at 700 lbs. 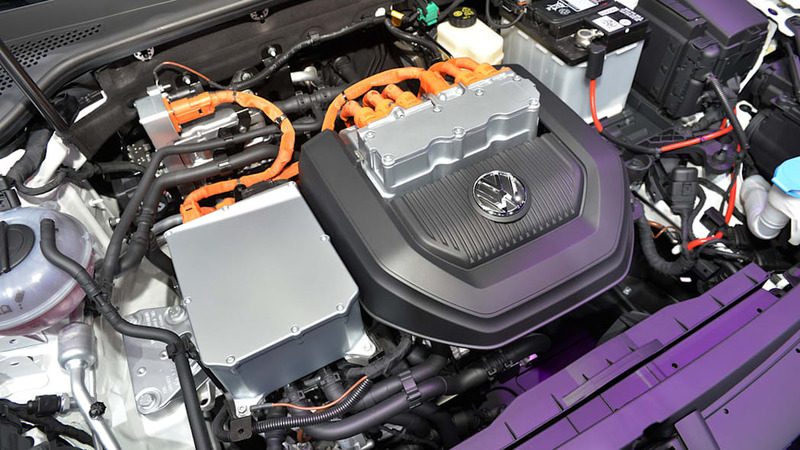 As it relates to battery temperature, VW has developed a Battery Management Unit with an intelligent thermal control that allows the pack to remain within an optimal temperature window, helping to maintain performance and range in a variety of temperatures. 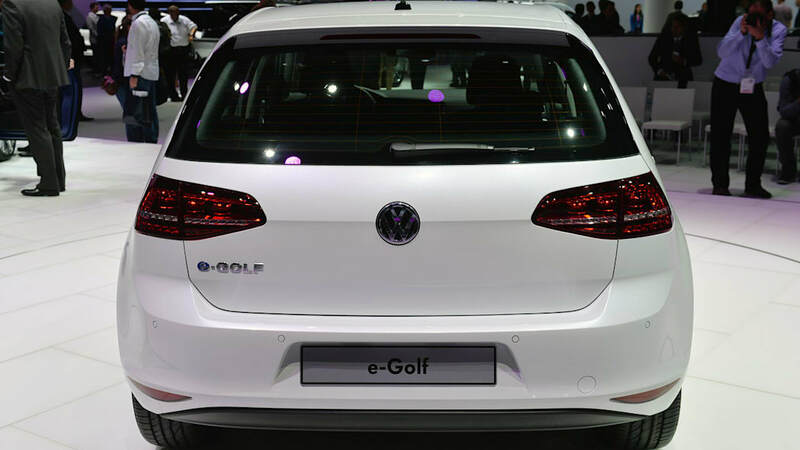 This system allows the e-Golf to operate, even in more extreme temperatures, without the need of a cooling system and without dramatic impacts in performance based on testing. In terms of the battery pack, the engineering goal was to develop a highly efficient system as opposed to one that focused on charge-time or capacity (like some of our competitors). 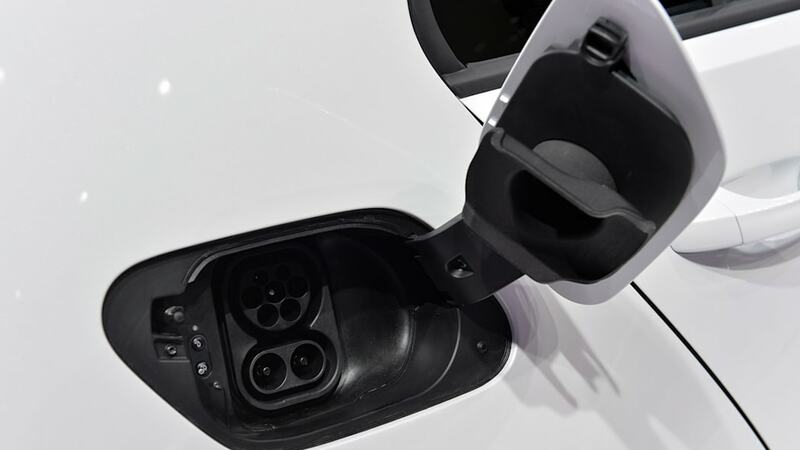 In partnership with Panasonic, VW utilizes a lithium-ion cells designed for gentle charge and de-charge during use which helps to reduce heat and energy consumption often associated with cells designed for rapid charging and de-charging. Our engineers refer to them as "marathon cells." Additionally, without a cooling system weight savings are achieved which aides in overall efficiency of the vehicle. Due to the efficiencies achieved, minimal waste heat is created during operation (i.e. during fast charging) and is quickly directed by the battery metal structure into the chassis, away from the battery, helping to prevent extreme temperature conditions inside the pack. 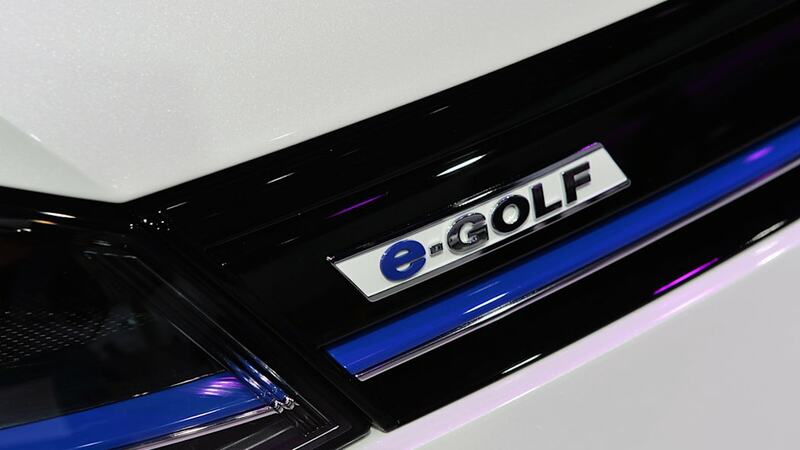 Our engineers tell us that the e-Golf has passed various long-term engineering evaluation milestones in desert temperatures and cold weather climates, without the necessity of a cooling system.